A judge in Connecticut has granted summary judgment in favor of L’Oreal, dismissing the claims of a woman who alleged emotional distress due to becoming a brunette. 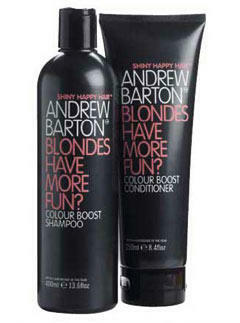 Charlotte Feeney claimed that she bought a tube of permanent hair color in 2003 to touch up her naturally blonde hair. Only after a friend had applied the hair color, she said, did she realize to her horror that she had become a brunette. "I was mentally and physically in shock," Feeney said in an affidavit. "I was sick to my stomach, I had headaches, I don’t like myself, I stay home more than ever in my life, I wear hats most of the time." She said that eventually she was forced to seek treatment for the coloration-induced trauma and depression. Feeney specifically claimed that she had been damaged emotionally by the fact that she was no longer able to live life as a blonde. "I can never go back to my natural blonde hair," she said, which is true unless it were to, say, grow back. "Also," she continued, "blondes do get more attention than brunettes, of course, emotionally, I miss that." Well, you’re getting more attention now, on the Internet, at least — problem solved? L’Oreal argued (and the judge agreed) that Feeney had been able to offer no evidence that the wrong color dye was in the tube she bought, as she claimed; nor had she explained why she and her friend did not first test the dye on some hair strands, as the package suggests. The judge also rejected Feeney’s argument that the defendant had a duty to put a warning on every container of dye saying that it may not actually contain the color indicated; in other words, a label warning that the other label may not be accurate. I would be willing to support this idea of a label warning label, but only if it were also accompanied by a label-warning-label warning, warning that the label warning label itself may not be accurate so that consumers may want to read the original label. But I would not support a label-warning-label-warning-label warning, because that’s just getting ridiculous.